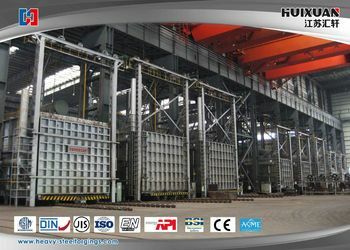 Jiangsu Huixuan New Energy Equipment Co., Ltd.
Jiangsu Huixuan New Energy Equipment Co., Ltd. was established in June, 2016, is one of the forging manufacturer especially for the forging export. We located in Jiangsu Province of mid-east of China with good location for abundant sea transportation and just 90km to Shanghai airport. 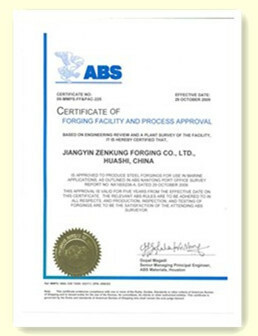 We have five professional plants: free-die forging, ring rolling, rough machining, heat treatment and finish machining. Our annual production capacity is 80,000 tons for various of free-die forgings, ring rollings and formed forgings. 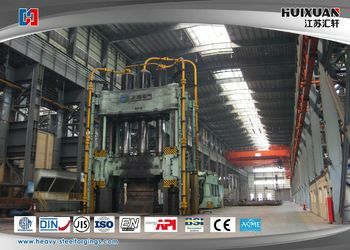 We have advanced supporting facilities, such as each of 12000t&4000t free-die forging hydraulic oil presses, each of Ф9000mm and Ф5000mm ring rolling machine, one set of in-and-out material machine, 3 forging operators with the capacity of 150tons, 50tons and 20tons, various lifting vehicles, natural gas furnaces, chamber furnaces, sawing machines, drilling machines, heavy horizontal&vertical lathers, CNC machines, plane milling and boring machines, deep holeboring machines etc., totally more than 200 sets. All of these machines ensure to provide the coordinated process service from rough to finish machining. our customers are around the world,thanks to good company location we are able to provide fast ocean,air and railway transportation, achieved any location,any time,any problems quick response service. 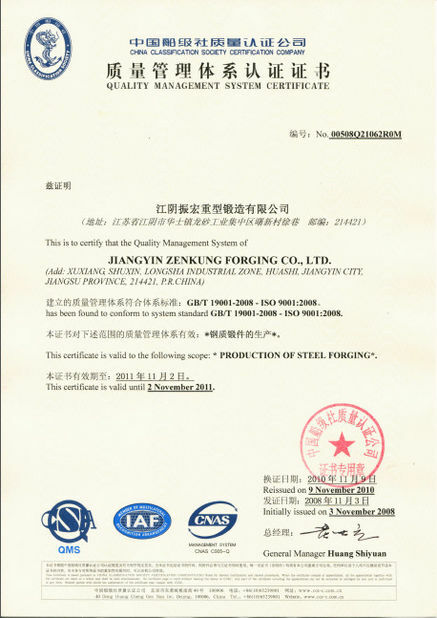 We can provide the forging with weight from 0.5t to 150t, and our main products are megawatt wind power main shafts, hydropower and thermal power rotors, power station auxiliary equipment spare parts, ship forgings for power of bent exle or propulsion of shafting, kinds of mining machinery forgings, step shafts, large gear rings, offshore oil and gas engineer forgings, oil forgings, special pressure vessel forgings and some others that can be used in kinds of heavy industry equipments field. 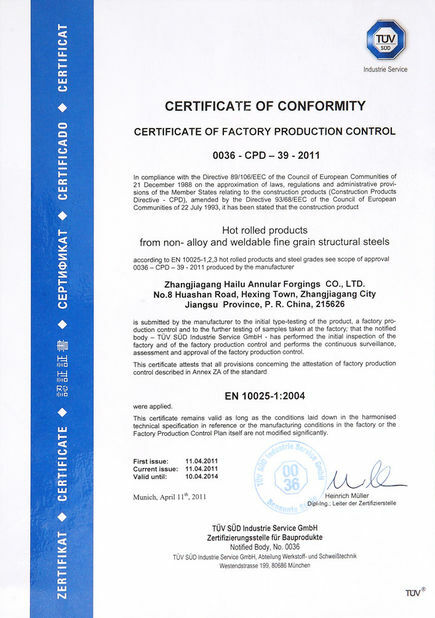 We are qualified by the classifications such as ABS, CCS, BV, LR, DNV, GL, KR, NK, RINA and got the approval certifications. 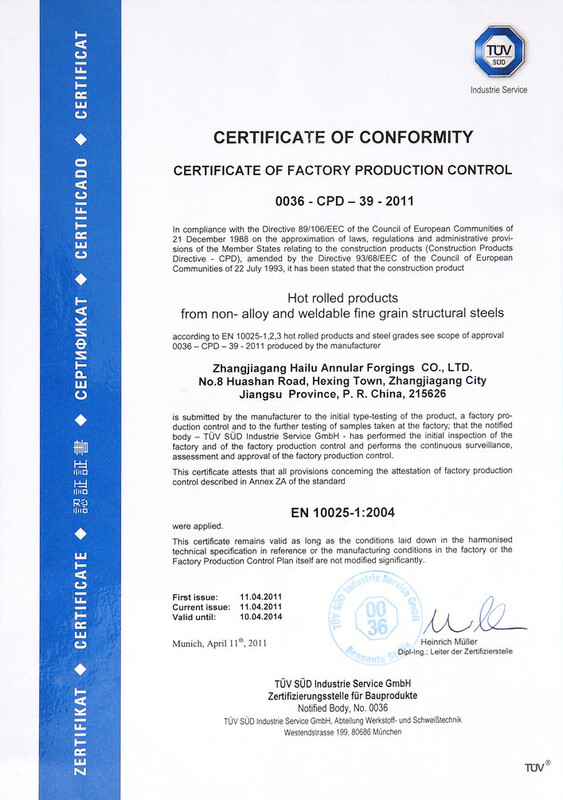 Beside that, we also have PED pressure equipment production license of TUV and "special equipment manufacturing license". 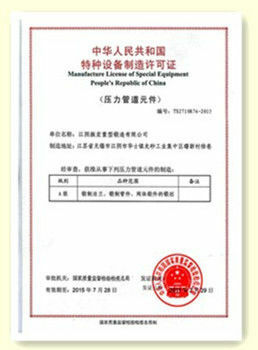 We also gain some honors such as " Jiangsu Province High-tech and New Enterprise"," Jiangsu Province Private Technology Enterprise", and" China Top 10 Wind Power Main Shafts Manufacturing Enterprise "," National Quality Management Best Award of Excellence "," Jiangsu Province Excellent Private Enterprise "," Jiangsu High Quality Products ", " Jiangsu Fareast International AAA Credit Rating Enterprise". We invite the domestic and foreign merchants to cooperate sincerely and seek the common development, to create the brilliant together! ! We are able to provide fast ocean,air and railway transportation, achieved any location,any time,any problems quick response service.